Maintaining and updating your home periodically can be challenging for most homeowners. From replacing outdated plumbing and lighting fixtures to repairing loose shingles on the roof, it is easy to see the overwhelming amount of work your home will need over time. Fortunately, certain updates can be functional, appealing, and profitable investments. An estimated 54% of buyers will spend more money on a home with hardwood floors so you know this update will be a great investment. Designing your wood floors can be difficult due to all the options available. If you are hoping to improve your home’s look and value with new hardwood floors, use this guide and your professional’s help to get started on the design and installation process. Once you choose to install hardwood floors, you will face a few other decisions. One of the most important decisions you make is the type of wood you use. Most people are surprised to learn how many options are available for their wood floors. Each wood type offers its own benefits so weigh the pros and cons of each. If your floors see a lot of wear and tear, you will want to choose a harder wood. Hardwoods, such as red oak, are the most durable because they are capable of withstanding heavy wear and tear. Other hardwoods include maple and cherry woods. Pine is an attractive option, but it is a softer wood that may show scratches, dings, and dents. Using pine wood for your floors in a family room or kitchen would not be recommended because these rooms are well-used. Hickory is another hardwood that is durable and offers a rustic appeal that many homeowners love. For a more luxurious look that will stand the test of time, opt for Brazilian Cherry. We offer a large range of Wood Flooring Types many of which you can see in our showroom. After choosing the wood type, you will need to select how the floors will be finished. There are two main options available. Prefinished wood is created off-site. It will arrive at your home already finished and stained. You can also choose from a site-finished hardwood floor. These wood planks are not finished and stained until after they are installed in your home. Again, there are pros and cons to each type of finish. 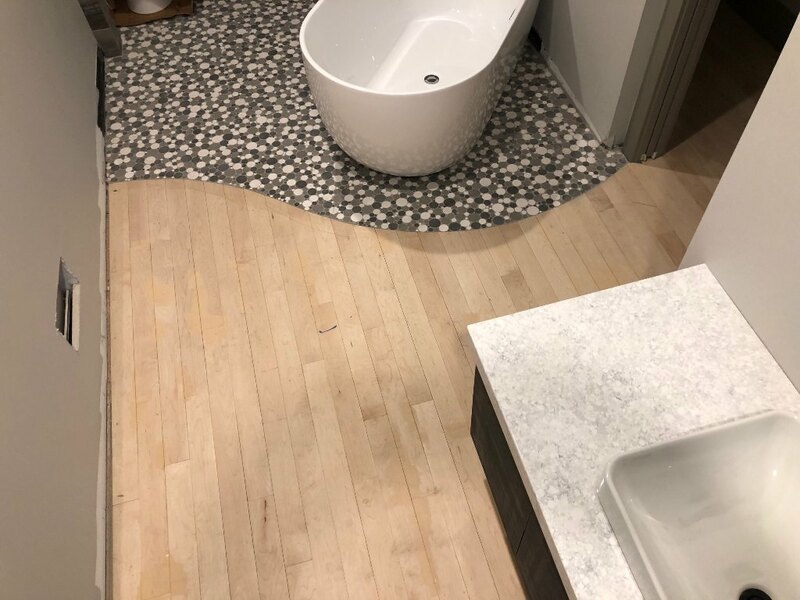 If you prefer an efficient installation, opt for the prefinished floors because you will not need to wait for the sanding, staining, and finishing process to be completed. Site-finished floors will allow you to customize a look suited to your home décor and unique style. Finishing the floors in your home can be messy and time-consuming, but it is a worthwhile investment for many homeowners. Lastly, you will need to take into account how your wood planks are constructed. Solid and engineered hardwood flooring boards are both constructed out of real wood. However, each type is constructed using a different process. Solid hardwood planks are made using strips of real hardwoods. Solid wood boards can be prefinished or finished on site. Solid hardwood floors offer the best durability. Engineered hardwoods are constructed out of strips of hardwood that are packed together tightly and topped with a prefinished solid hardwood. One of the main benefits of choosing engineered hardwoods is that there is less risk of warping and buckling due to installation issues or moisture. 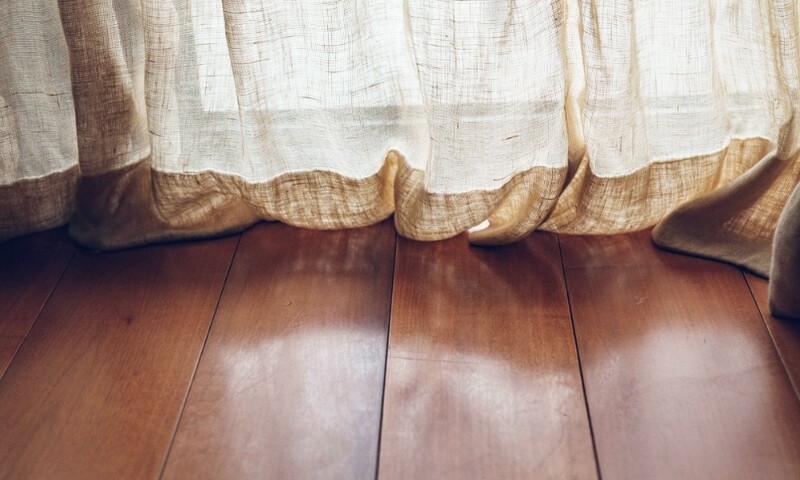 Most homeowners see the benefits of using hardwood flooring in their homes. Not only will wood flooring offer a classic appeal that will stand the test of time, but hardwood floors are also more valuable.